For people living with diabetes, monitoring blood glucose levels, maintaining a medication regimen, eating well, exercising and more are high on your priority list. But what about oral health? According to the National Diabetes Education Program, people with diabetes are more likely to have problems with their teeth and gums. The good news is that with proper guidance and care, you can keep your teeth healthy and your smile bright. Here are some tips and tools to get you started. Preventive oral health care is an essential part of maintaining a healthy mouth, and a semi-annual dental exam is key to prevention. Be sure to inform your dentist that you have diabetes. During your appointment, your dentist and care team will discuss the effect of diabetes on your teeth and gums, inspect for cavities and periodontal (gum) disease, provide education on fluoride use and more. Depending on the health of your gums, your dentist may have you come back more often for cleanings. Periodontal disease is the most common dental disease, affecting nearly a quarter of those diagnosed with diabetes. Studies show that treating gum disease can help improve blood sugar control in patients living with diabetes. 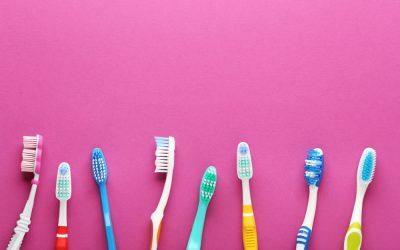 Practicing good oral hygiene and regular professional cleanings can also help lower your A1C. • oral burning: a burning sensation inside the mouth caused by uncontrolled blood glucose levels. If you experience any of these symptoms, experts recommend scheduling an appointment with your dentist right away. It is important to note that early signs of gum disease can be reversed with proper brushing, flossing and diet. Dentists recommend brushing your teeth with a soft-bristled toothbrush twice daily and flossing once a day to remove food and plaque in between the teeth and along the gums. Keep your blood sugar under control because research has shown gum disease may worsen if glucose levels are not in check. If you wear dentures, clean them daily. If you smoke, consider quitting. Call the national quit line 1-800-QUIT-NOW or 1-800-784-8669 for support. These lifestyle activities are your best defense against tooth and gum problems. For more information on diabetes and maintaining good oral health, visit the American Dental Association or the National Diabetes Education Program. Maureen McCarthy is the Editorial Director of Diabetes Self-Management.